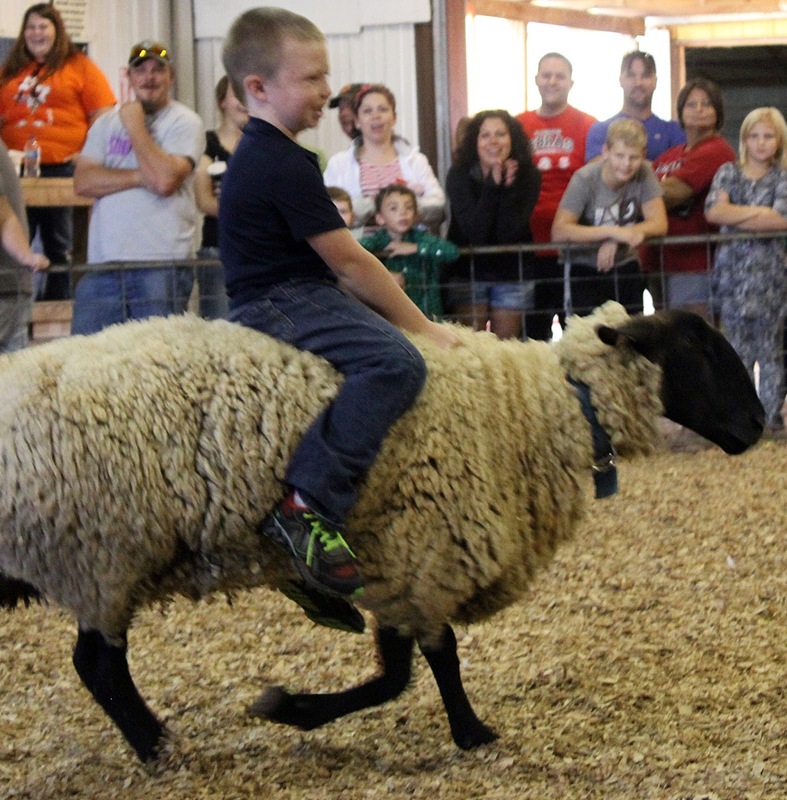 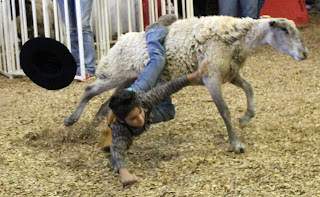 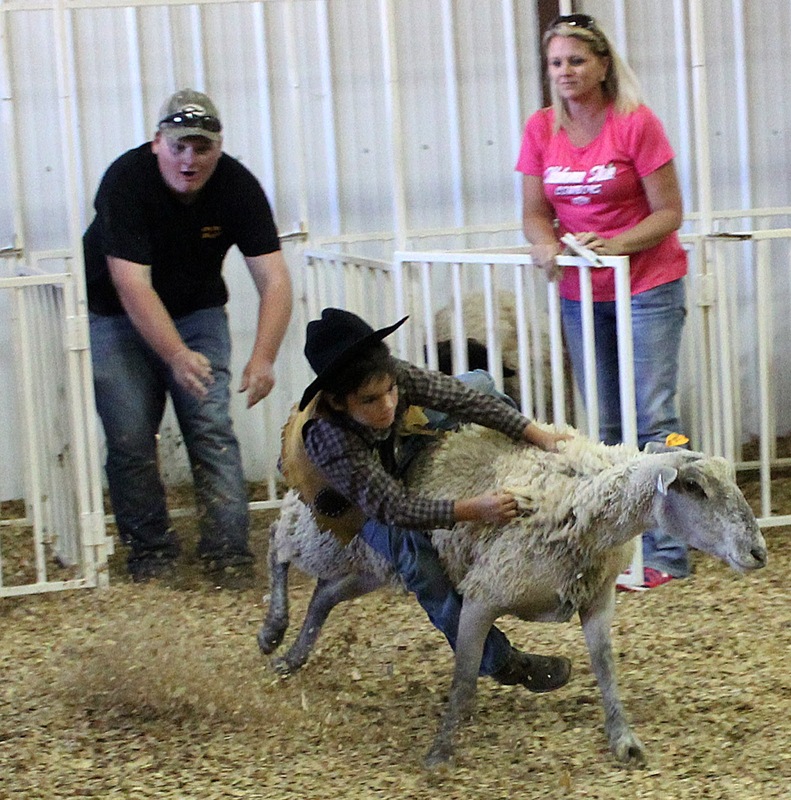 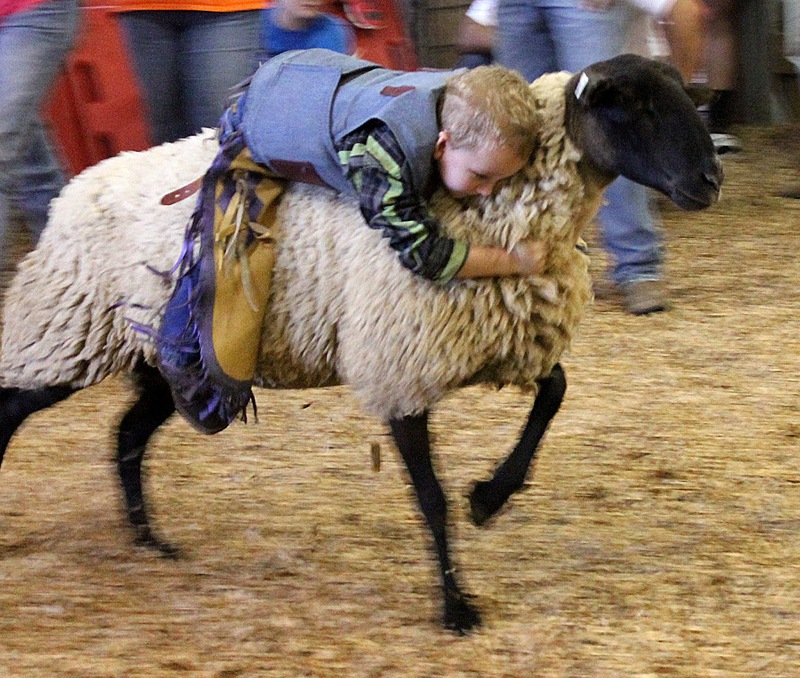 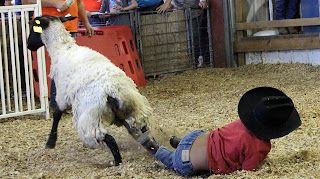 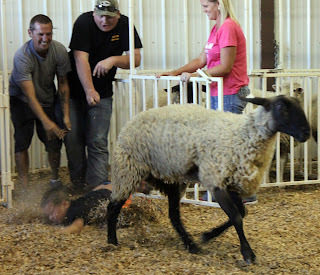 Ridge Tanner hangs on as he attempts to ride for six seconds in the 2015 Mutton Busting competition held Saturday, Sept. 12, as part of the Delaware County Free Fair. 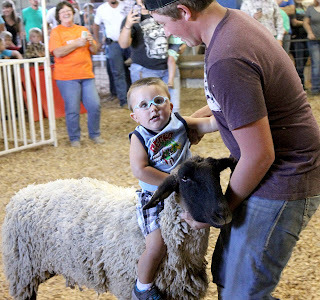 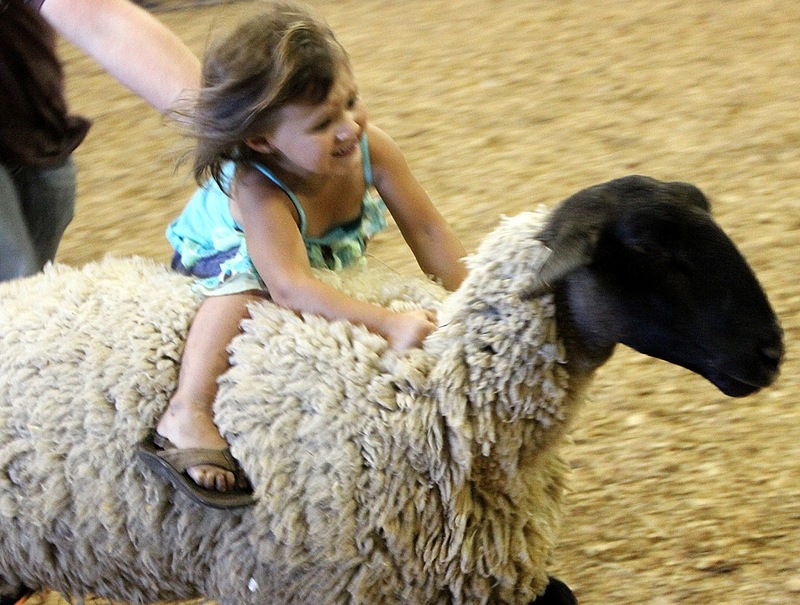 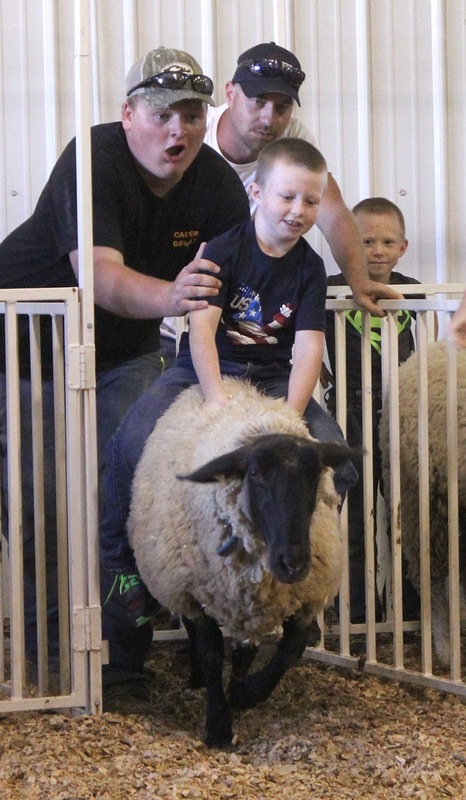 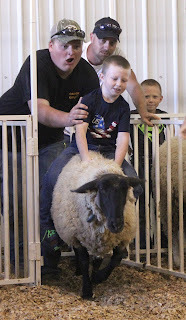 Additional pictures from the fair can be found inside today's issue of The Grove Sun and online at www.grandlakenews.com. 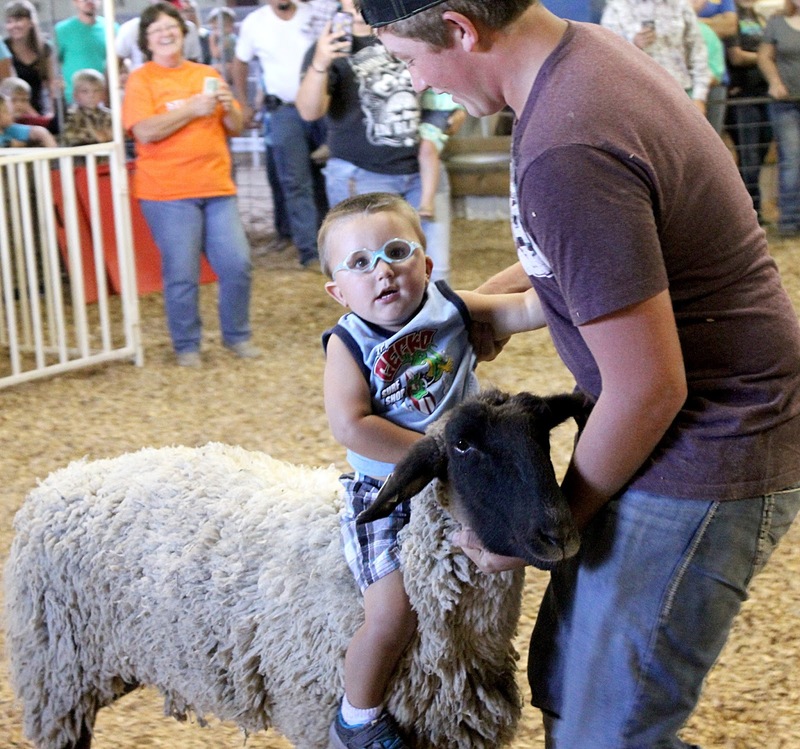 Originally published in the Tuesday, Sept. 15, issue of The Grove Sun.